1 – Finding movies is simple with Fandango. We use the app on our phone to easily find out what movies are newly released, all of the theaters and showtimes, and we can do this no matter where we are. 2 – We can read and write movie reviews. On Fandango, we can not only read movie reviews from others who have seen the films we are interested in, but we can even write our own reviews to help others with similar tastes in movies! 3 – It’s quick and easy to purchase movie tickets. We use the Fandango app on our phones almost every time we go to the movies. I love how easy it is to purchase tickets! We buy them through the app and then receive an email confirmation and a scan code that we show the theater staff when we get there. They scan the code and it’s off to the snack bar and to the movie we go! 4 – We have guaranteed tickets for the movie. Have you ever waited in line to see a movie just to get to the window and find out the movie is sold out? Well, you don’t have to worry about that with Fandango! When you buy your movie tickets through Fandango, you are guaranteed tickets for the movie you have chosen. 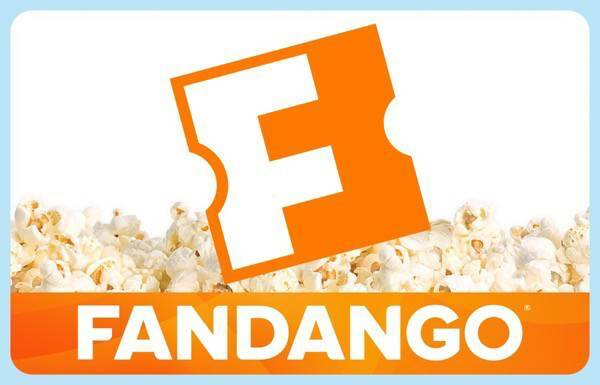 5 – You can link your movie rewards to your Fandango account. Shannon and I have a Regal Rewards card we use whenever we purchase movie tickets and food at the movie theater. This earns us free movie tickets, bags of popcorn and drinks. With Fandango, we’ve added our Regal Rewards information so we continue to earn points when purchasing tickets through Fandango. You can also add other Reward programs with Fandango to use depending on where you go to see your movie. The Fandango app consolidates all of your movie rewards cards so no matter which theater you choose, you will accumulate discounts, points, and rewards. Overall, we love using Fandango as a family! It makes going to the movies simple and fun! What do you like about Fandango? 1 lucky reader on Daddledo will win a $50 Fandango Gift Card! This is a sponsored post with Fandango Family. All opinions are mine. I like that you can buy tickets for multiple theaters and showings all in one place. Also that you can get gift cards. The next movie I’m really excited for is Avengers: Age of Ultron. I like the fact that you don’t have to wait in line at the ticket office. My kids would like to see Paul Blart Mall Cop 2. I want to see the new Avengers movie in May. I like the convenience of fandango. I can’t wait to see Paul Blart Mall Cop in Vegas with my son. I like that you can get tickets and not have t worry about the show being sold out when you get to the theater. we want to see the Avengers new movie! I want to take my niece and nephew to see Home. I like Fandango because I can buy my tickets online. I’d like to see the movie “Home”. What I like about Fandango is the convenience. Thanks for the giveaway! I want to see Get Hard. I love purchasing tickets online. I bought my first tickets on Fandango a couple months ago and it was so easy. I would love to take the kiddos to see Home. I want to see Home for the Grandkids, and I love Fandango because we don’t have to wait in line. I love the convenience. I’d love to see Cinderella. Thanks for the giveaway! I would like to go see Get Hard with Will Farrell. I like that I can skip the lines with Fandango. I want to take my two boys to see HOME! I love that you can say wife now 🙂 I’d go on a lovely date night with my husband. Nevermind. I see what you mean now. More comments for you! I would see Cinderella. I like not standing in lines. I would go see either Get Hard or Fast and Furious 7. I like that I can skip the line with Fandango. I would love to take my wife to see Paul Blart Mall Cop 2! to see the avengers movie. I’d see Insurgant. I like how easy to use Fandango is. I want to see the new Avengers movie with my husband & kids. I love that I can buy my tickets before I even get to the theater. I don’t have to worry about the movie being sold out. I want to see Home with my nephew. I like not having to wait in line to get tickets. I would go see Avengers: Age of Ultron. I love being able to buy tickets on Fandango without having to wait in lines at the movie theaters. I would like to see Home. The Age of Adaline looks really good! I love that Fandango is convenient, fast and easy! I no longer have to wait in line with nes at the theater, now that’s a win-win!!! I’d like to see Home. I like how easy it is to use fandango. I like that you don’t have to wait in line for tickets and we want to see the new avengers movie. I would use the Fandango gift card to see The Avengers: Age of Ultron. I love the convenience of ordering tickets online via Fandango so I do not have to wait in line at the theater if it is a busy night. I would like to take my son to the Home movie, and I like the convenience of Fandango. i want to see the new Disney Monkey Kingdom movie next. i love that Fandango makes researching movies easy. I’d like to see the new Mad Max. I want to see Age of Adaline! We saw previews for it while waiting for 50 Shades of Grey to start…looks good! I like that I can order tickets online so I can bypass the ticket booth at the movies. I want to see the new Avengers movie. I like Fandango as it makes it so much easier to get tickets and so much easier to see what times in what theaters the movies I want to see are playing. I’d like to see Avengers: Age of Ultron and I like that you can buy tickets ahead of time. We would like to see Paper Towns when it comes out. My daughter is already begging to see it. I like that you can do everything in one place on Fandango. You can see what movies are playing, times and go ahead and buy tickets. Thank you! I want to see the new Avengers movie. I love the convenience of Fandango. My grandson wants to see Home and we like buying our tix in advance. I would love to go and see Fast and Furious 7 among others. I love Fandango because I do not have to stand in line because can get my tickets online. OK, I lied. I clicked the button saying I get your email, but could NOT find a place to sign up for it. I’d love to see The Sound of Music 50th anniversary event this week at my local theaters. I want to see the new avengers movie. I did name my youngest thor 😉 I love with fandango you dont have to wait in those crazy lines. I would like to see the new Blake lively movie. I like fandango because it’s easy to use. Thank You for the giveaway… Fandango makes it easy to buy movie tickets i.e. no waiting in line ! We would use to see the upcoming movie, Tomorrowland. My daughter and I would love to see Home. I love that with Fandango, I don’t have to worry about standing in line for tickets. I’m looking forward to seeing The Longest Ride. I love being able to reserve my seats ahead of time. Our favorite theater is a bit of a drive and I hate wasting gas to get there only to find out it is sold out.